VICTORIA, BC--(Marketwired - June 12, 2015) - Focus Equities Inc., the master developers of the 20 acre Bayview Place site, are pleased to announce that Victoria City Council, at public hearing Thursday June 11, approved the redevelopment of a Canadian National Historic Site, The Roundhouse at Bayview Place. The Roundhouse at Bayview Place will realize the restoration of the Esquimalt & Nanaimo (E&N) historic 1913 Roundhouse, Car Shop and Stores buildings. Three new retail buildings will be added to the site along with eight repurposed box cars, one dedicated to performing arts and special events, the others offering local retail, food and beverage. Envisioned to be a unique retail destination and a community gathering place featuring grocery, craft beer, local food, specialty retailers and artisans, The Roundhouse at Bayview Place is also approved as a craft beer and distillery manufacturing zone in the Car Shop, a first for Victoria. 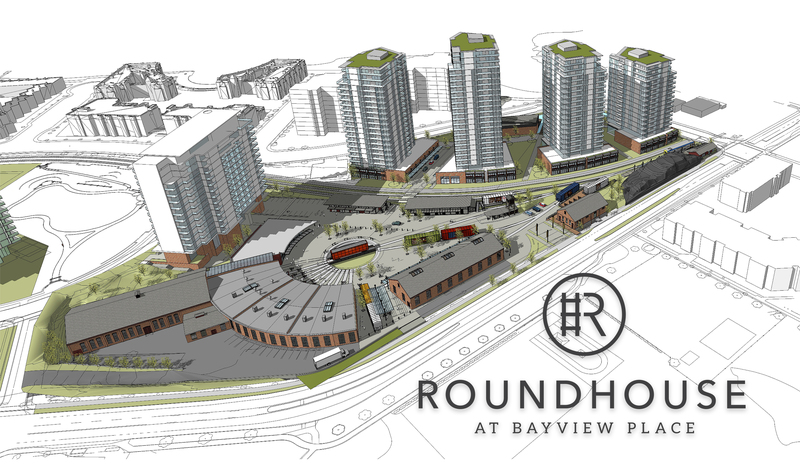 "The plan for the Roundhouse at Bayview Place is a shared community vision to see the brownfield National Historic Site revitalized into a vibrant gathering place," states Patricia A. Mariash of Focus Equities Inc. "Approval of this application helps ensure the preservation of these nationally significant heritage buildings for generations to come." The approval is a culmination of many years of careful planning and design by owners Kenneth W. Mariash, Sr. and Patricia A. Mariash of Focus Equities Inc., and a key milestone and catalyst for the ongoing master development of the 20 acre Bayview Place community. "Timing is critical," states Kenneth W. Mariash, Sr., "we're moving on all fronts. Along with our commitment to rail heritage restoration, a third tower will get underway at Bayview Place this summer and our senior's site is also approved. With 1.5 million square feet of density on our 20 acre site, the culmination of these important components sets the table for additional residential development." 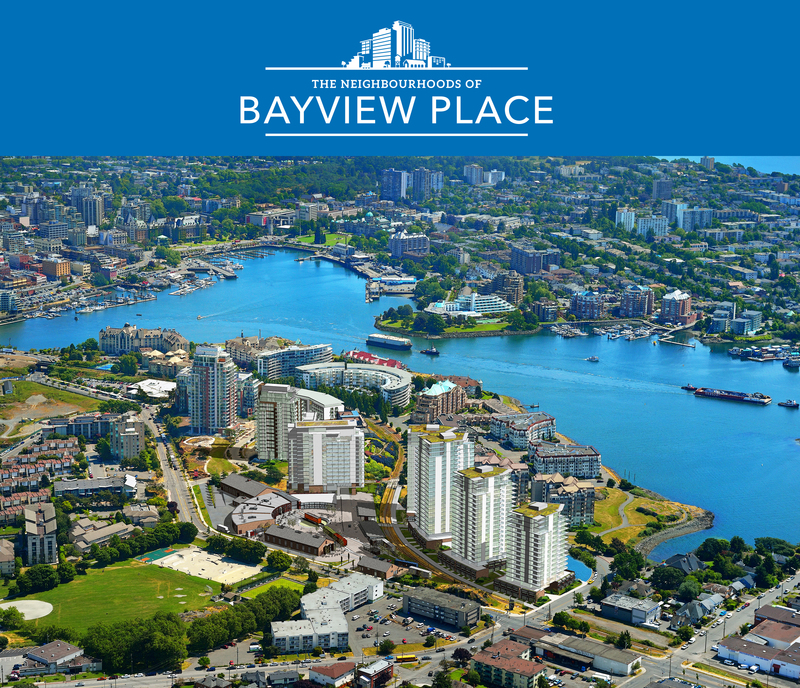 Bayview Place is a 20 acre urban neighbourhood located on the Inner Harbour of Victoria, British Columbia. The development vision is to create a vibrant, complete community incorporating a mix of uses to welcome residents of all ages and to serve as a focus of community gathering and retail activity for the local Victoria West neighbourhood. The property is characterized by its hilltop location adjacent to the waterfront of Victoria's Inner Harbour and by the historic landmark formed by the Esquimalt & Nanaimo (E&N) Railway Roundhouse buildings. Focus Equities, a Canadian corporation, provides development, investment and project finances in real estate, infrastructure and natural resources. Founded over 40 years ago, Focus Equities and its associated companies ("Focus") have developed, purchased, or sold more than 15 million square feet of real estate and more than 15,000 residential/condominium units in North America.